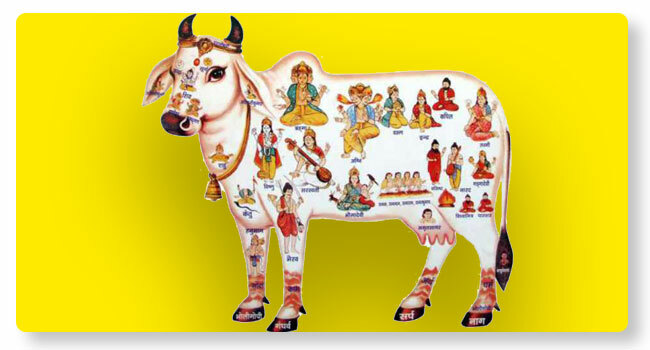 Hindus believe that, Kamadhenu is the ancestor of all cows is regarded as a divine wish fulfilling cow. It is stated in the Vedas that all gods and goddesses including the Trinity reside in Kamadhenu. Therefore, all cows are venerated as the earthly embodiment of the Kamadhenu. Performing puja to cow and offering oblations are said to enhance the grace of gods and yield results quickly.